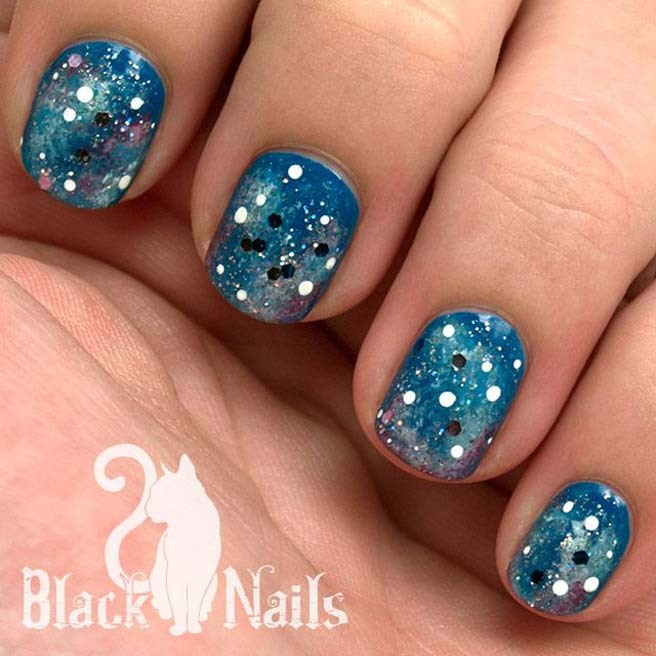 Have you ever wondered why the galaxy is like that? 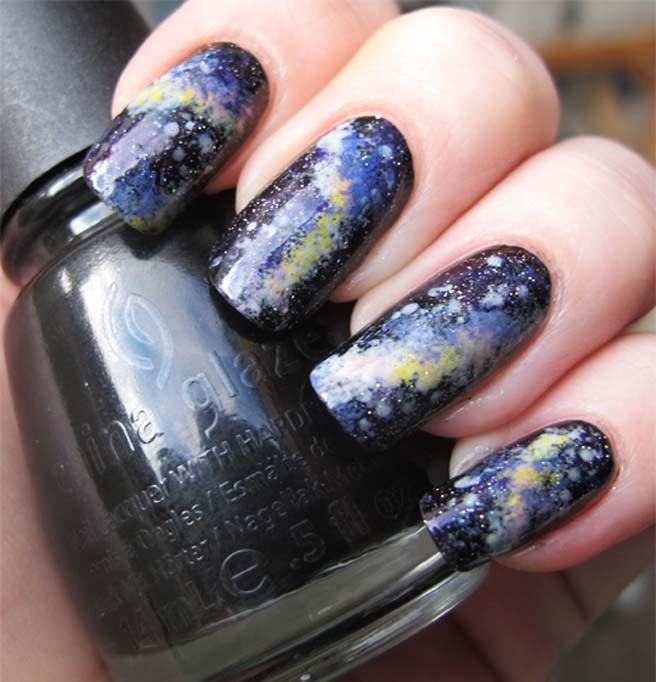 Have you ever appreciated the moon and the stars at night? 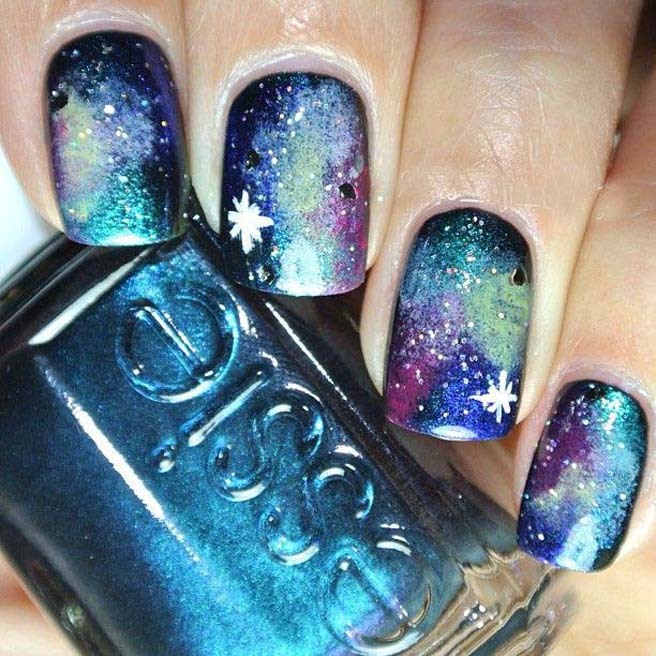 I love observing the sky in summer because I am obsessed with the bright stars and the deep dark sky. 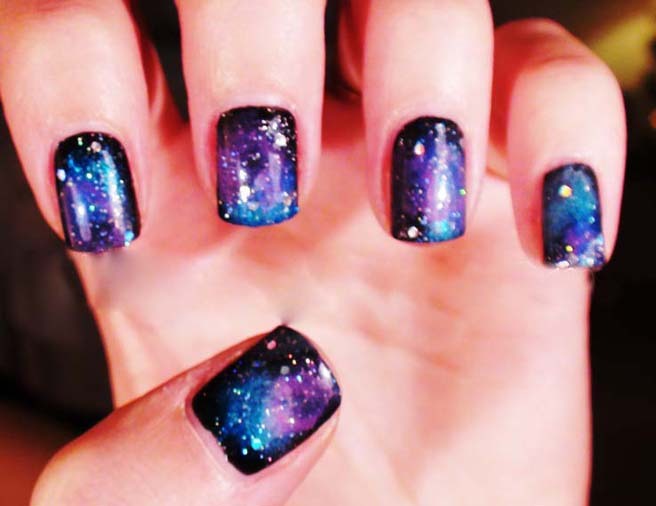 Every time I will dream of flying to the galaxy and touching the stars. 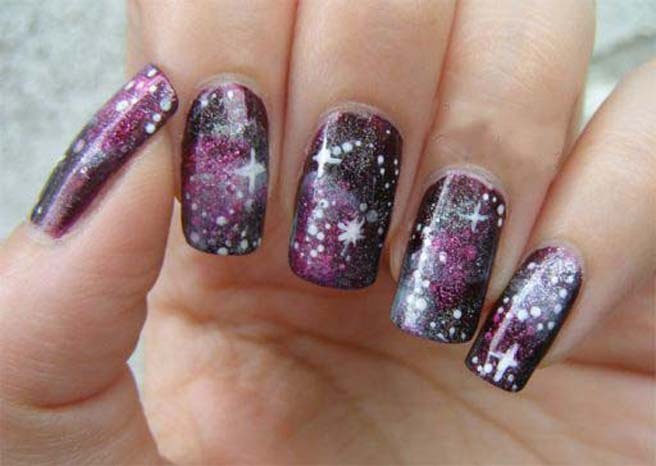 Of course, it’s just my dream but today it comes true. 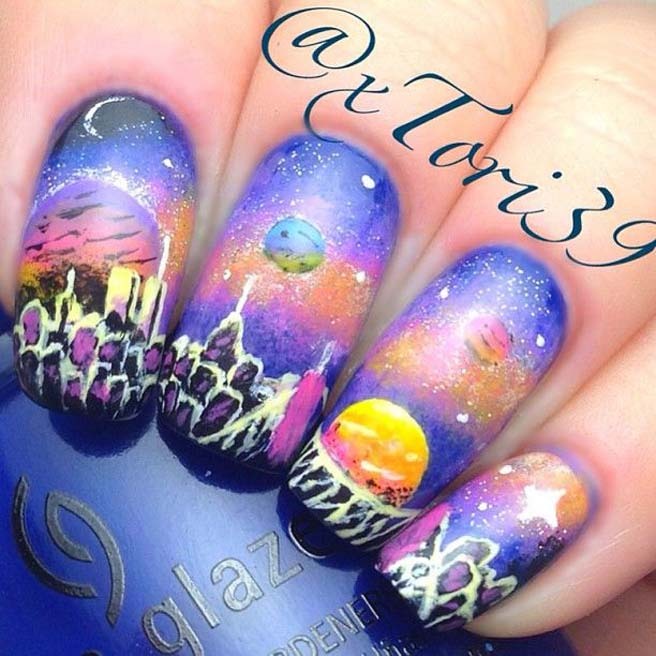 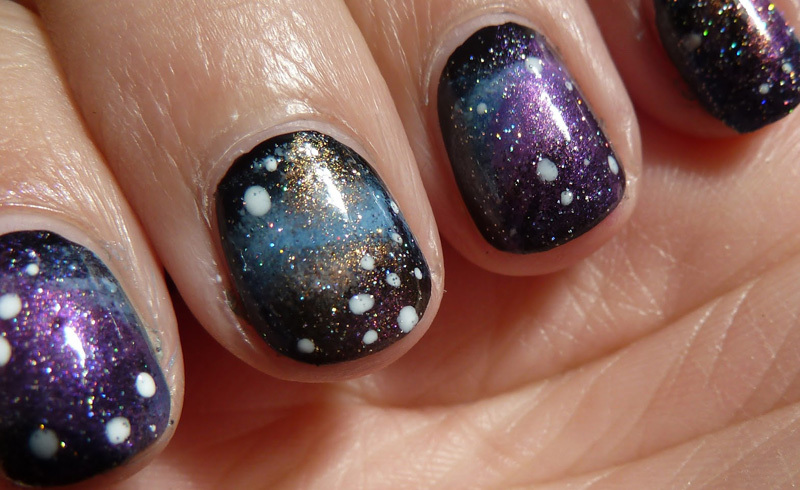 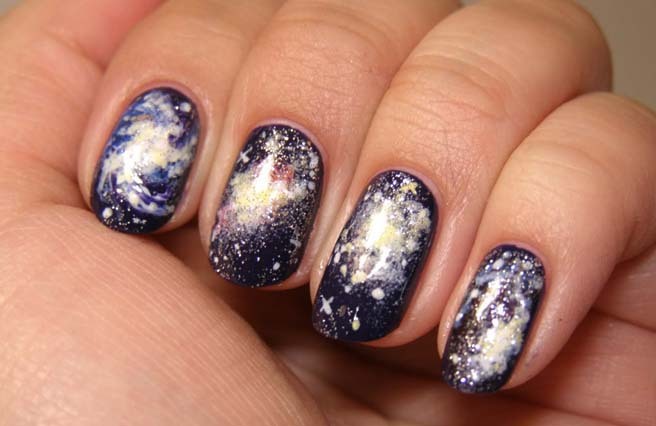 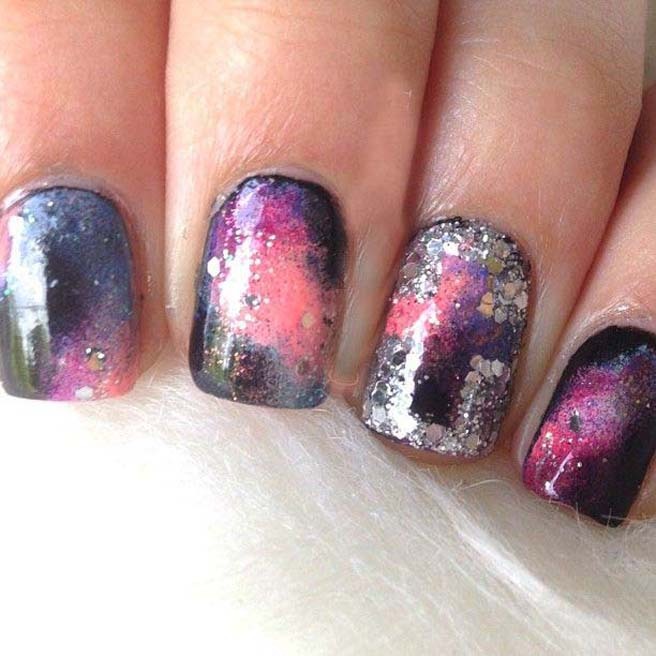 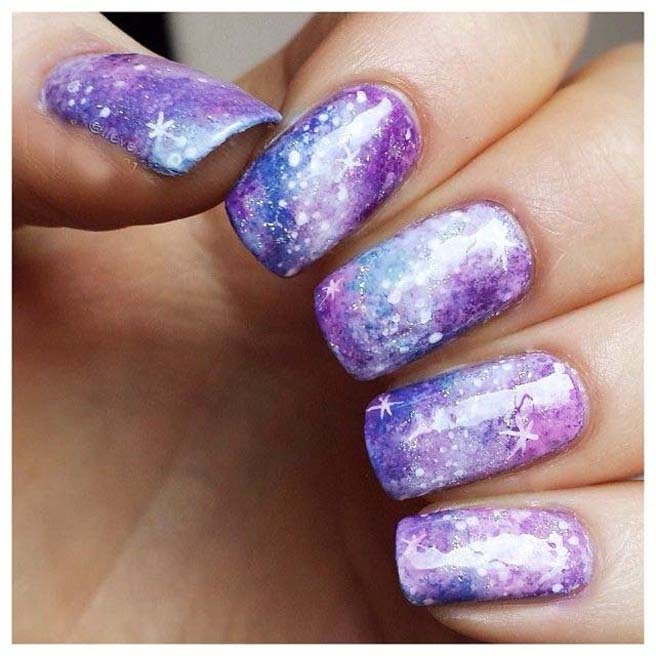 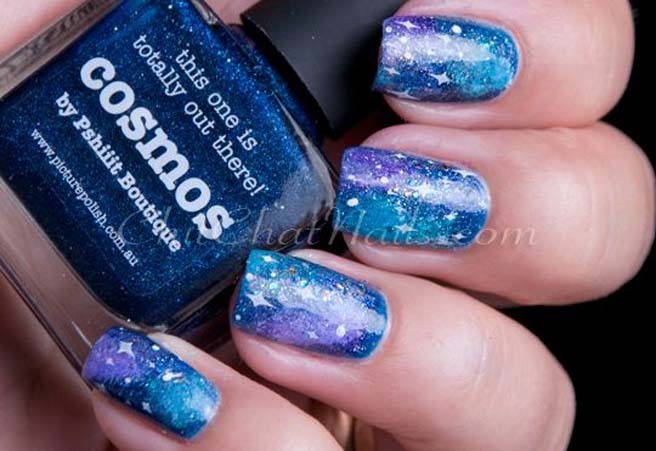 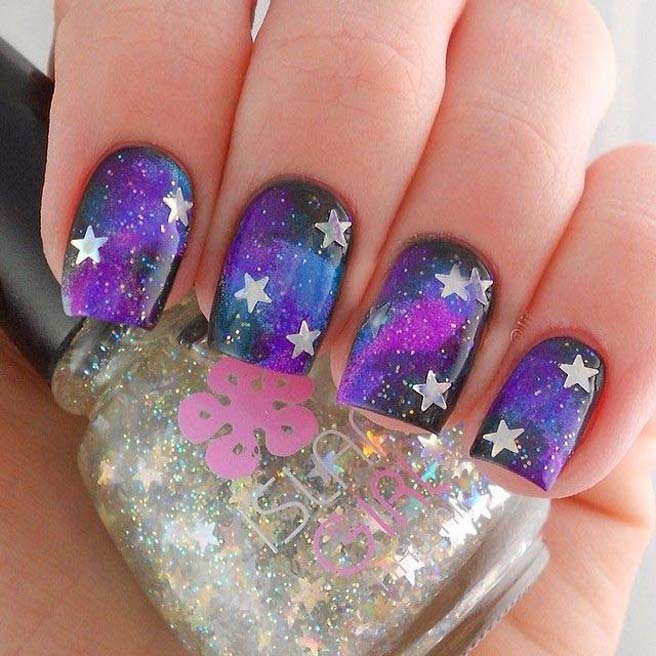 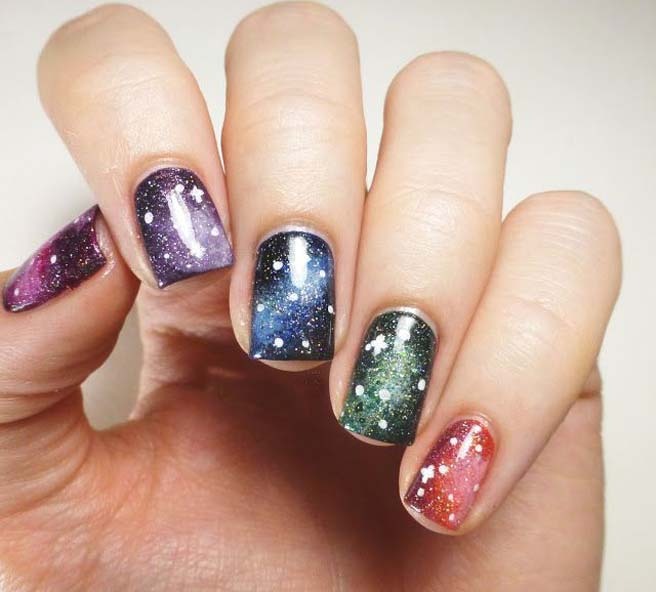 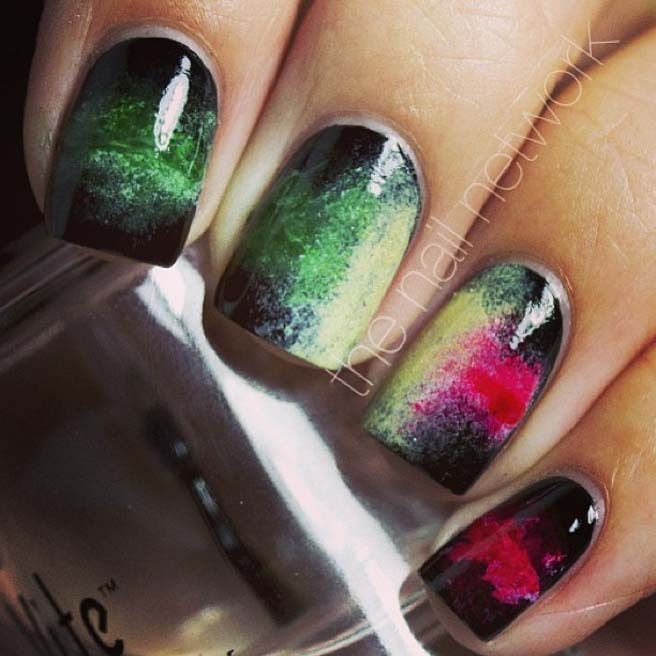 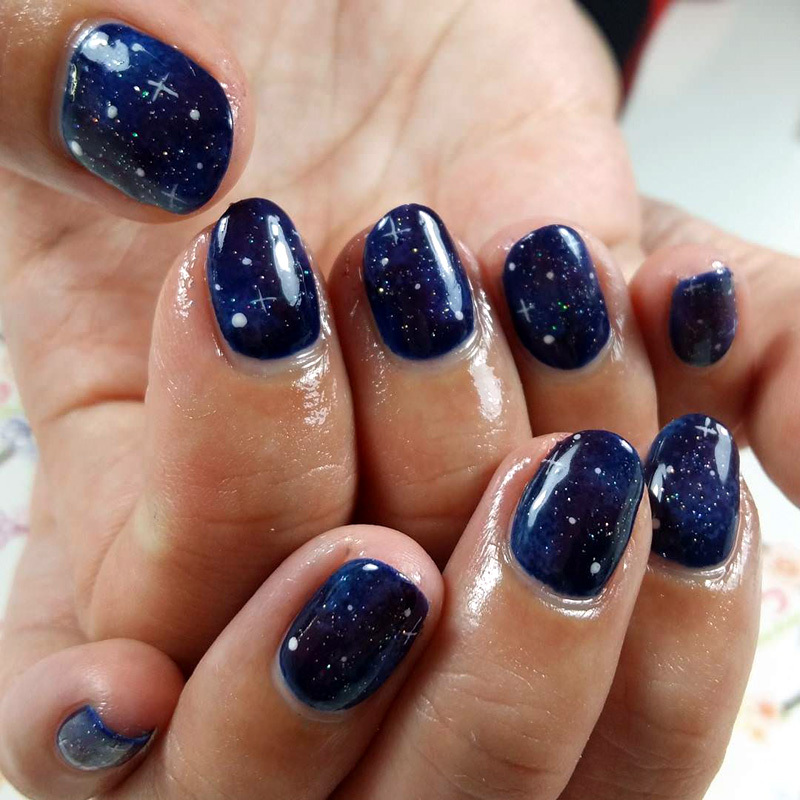 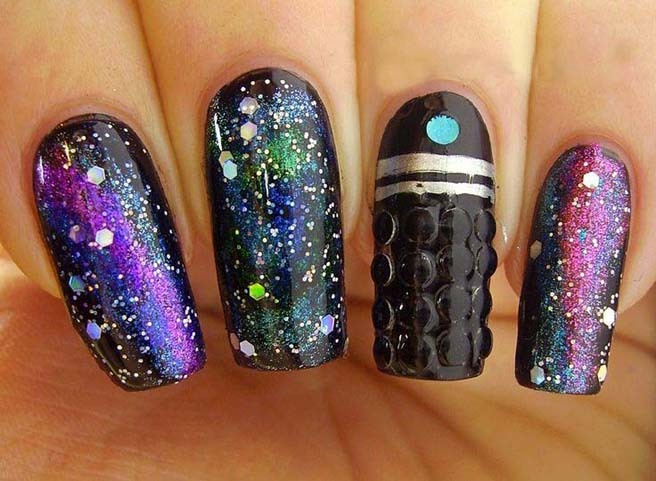 The nail art is going to copy the galaxy on a small nail. 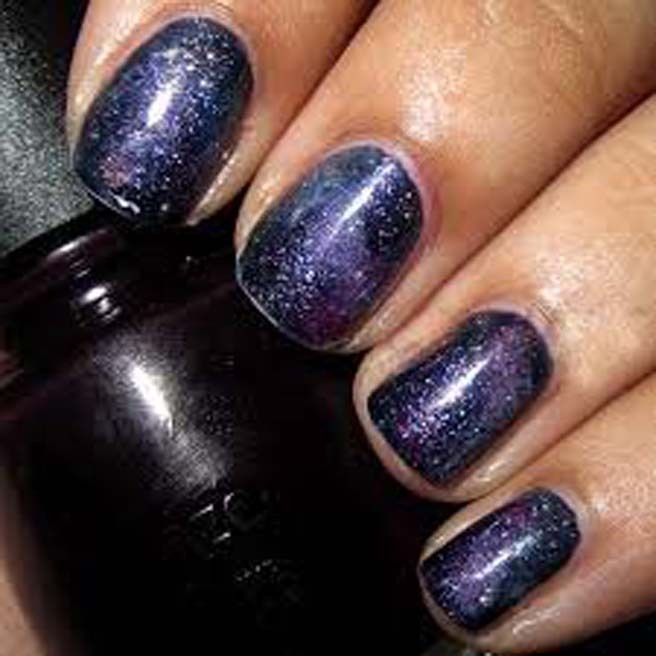 It’s made of mixed colors, blue, black and purple, in order to show how beautiful the galaxy is. 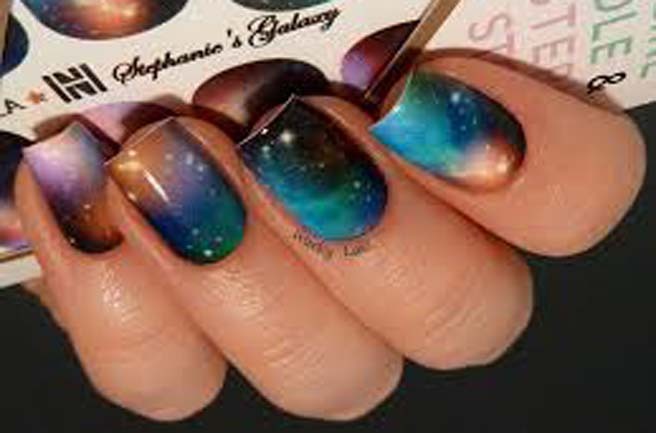 If you want to have a galaxy nail art for a new season, have no hesitation to check the designs out and get your hands busy in no time.